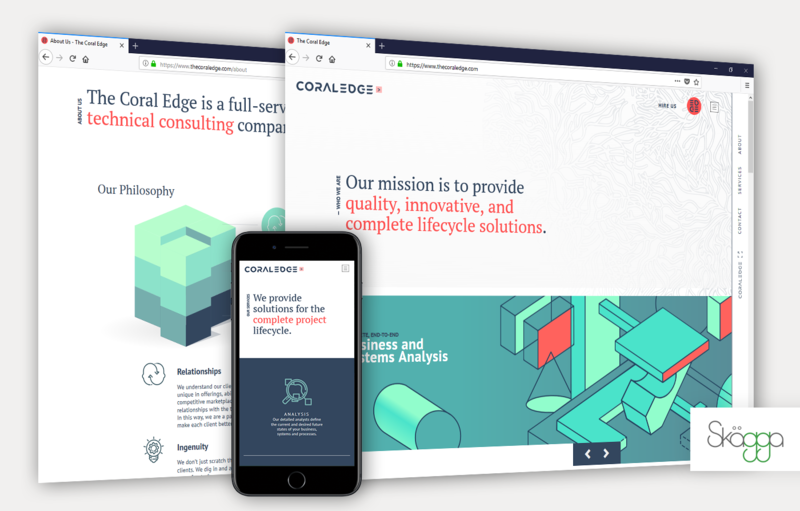 Founded in 2006, The Coral Edge offers business and technical strategy consulting as well as delivering cloud-based, mobile and integration solutions for clients globally. Having partnered with The Coral Edge previously, Skagga, Inc. was asked to collaborate on a fresh brand, including logo, website, and collateral. The Coral Edge's accomplishments as a boutique technical consulting company are estimable, and to communicate this, the team developed a unique and bold color palette to compliment the new memorable and sharply edged logo mark, all arrayed in an intuitive website UX/UI.